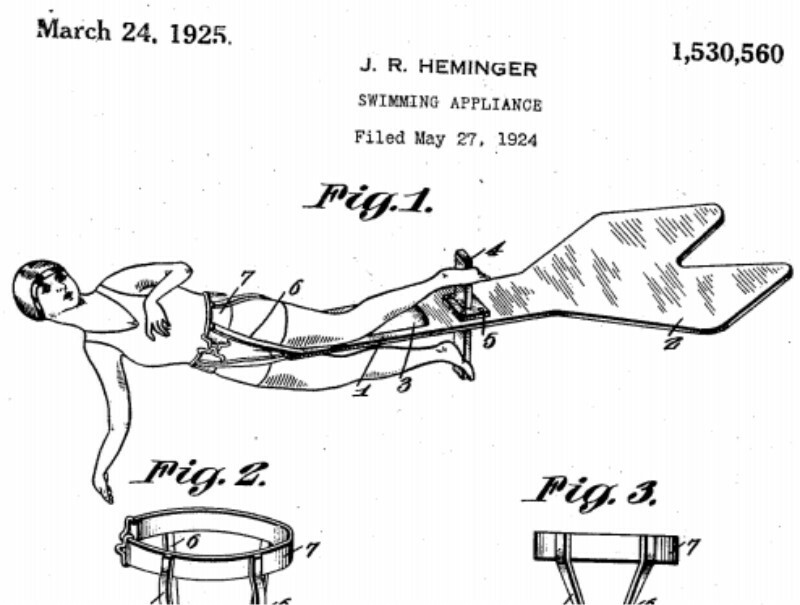 Patents are important to protecting your invention, we know that, we patented our PoolMate swim algorithms before we launched. It’s always been important to have good diagrams and drawings to explain your idea. 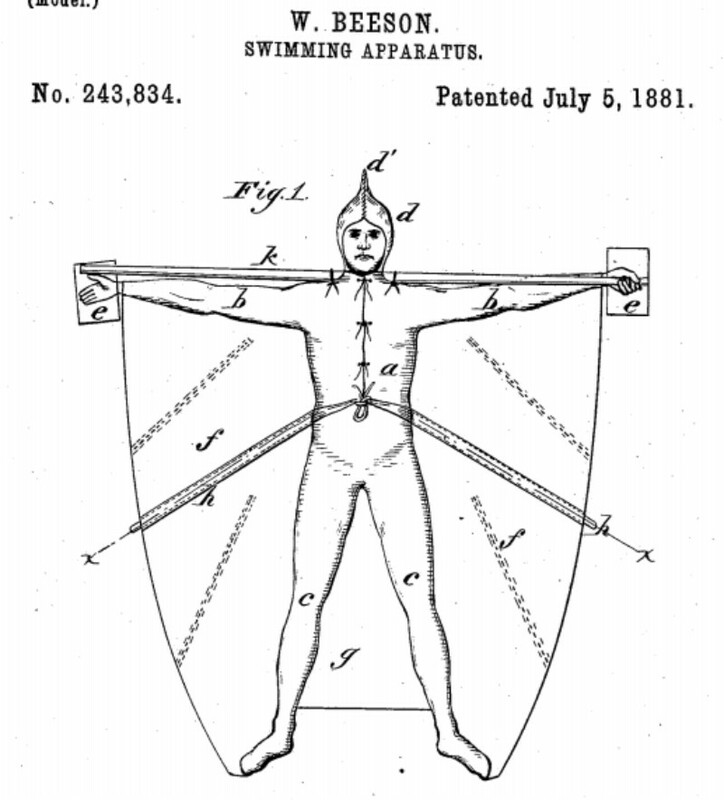 We’ve been trawling through some old patents and have picked out the most amazing inventions with fabulously detailed drawings from the world of swimming. 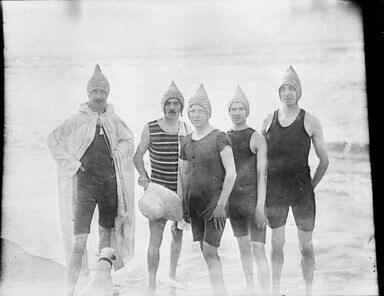 1881 brought about a fetching webbed swimsuit design from William Beeston, William claimed the webbed parts increased propulsion. We particularly liked the hood design. Which the designer in this photo from the Manchester Science Museum seems to have picked up on too. 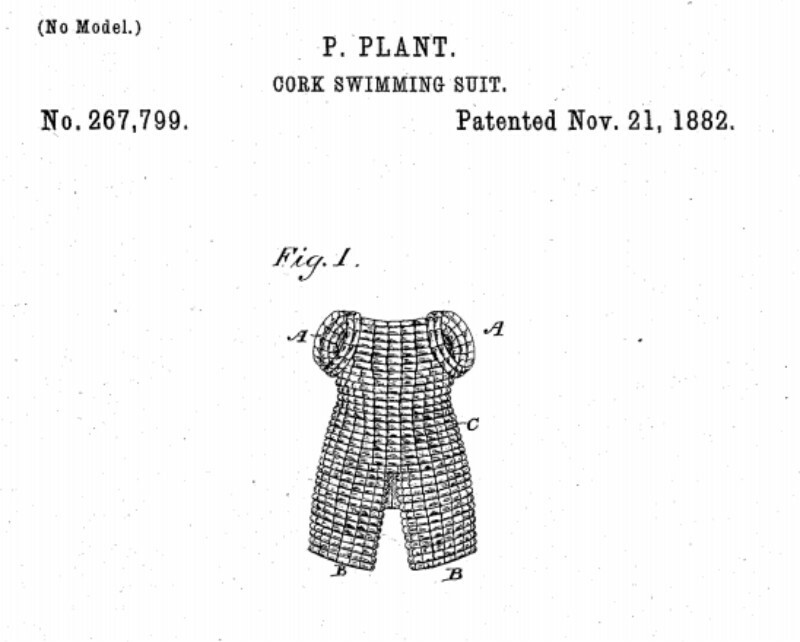 Speaking of designer swim wear, check out this cork swimsuit from just a year later in 1882. Designed not to impede arm and leg motions this offered buoyancy and safety, especially for feeble swimmers. 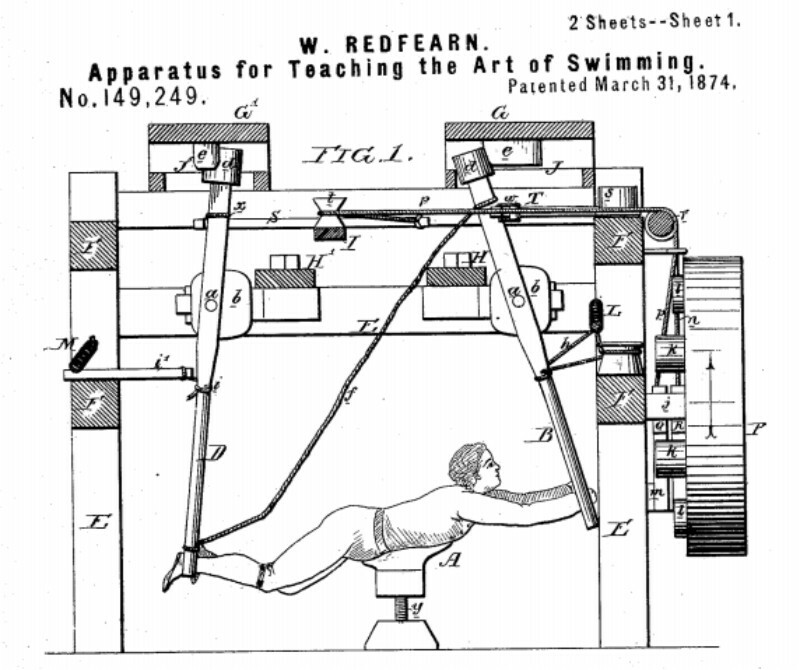 Things moved on in 1910 to artificially aided swim devices with this elaborate swimming hand cycle. who are unable to swim’to readily propel ‘themselves through the water, either for pleasure or for necessity, as for instance, when shipwrecked or the like.” Very useful.